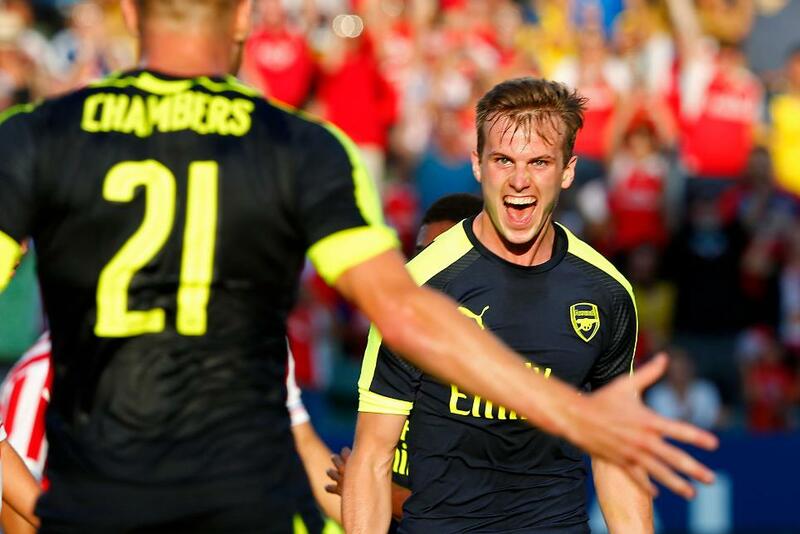 Rob Holding scored his first Arsenal goal as the Gunners ended their pre-season tour of the United States with victory over Chivas de Guadalajara. After beating an MLS All-Star outfit 2-1 last week, Arsene Wenger's men defeated the 11-time Mexican champions at the StubHub Center in Los Angeles, California to extend their unbeaten pre-season streak to three matches. Holding, Arsenal's latest summer signing from Bolton Wanderers, opened the scoring in only his second match for the club - the centre-back converting a Calum Chambers knock-down after Santi Cazorla's free-kick. 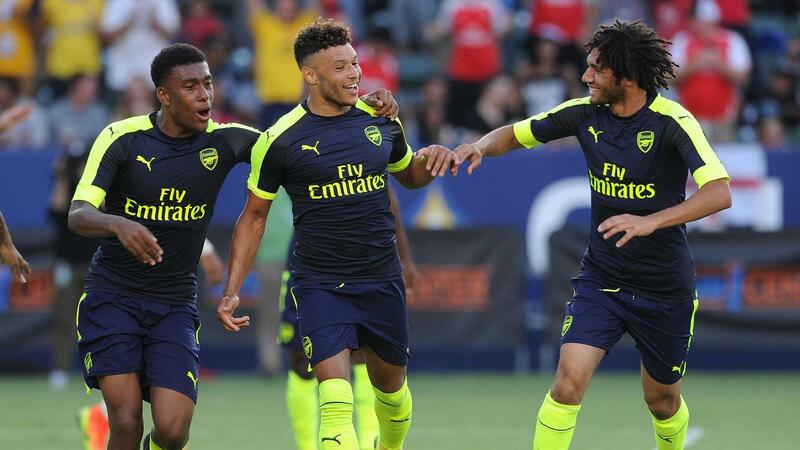 Alex Oxlade-Chamberlain netted his second pre-season goal after the interval, adding to his chip against RC Lens last month, before Chuba Akpom guided a Mathieu Debuchy cross into the net to complete the scoring for the Premier League side. A converted penalty denied a clean sheet for Arsenal, who play their penultimate preparation match ahead of the new season against Viking FK in Norway on Friday 5 August. Buy tickets here. The match rounded off an action-packed weekend of friendly matches involving Premier League clubs, which included Zlatan Ibrahimovic scoring four minutes into his Manchester United debut.